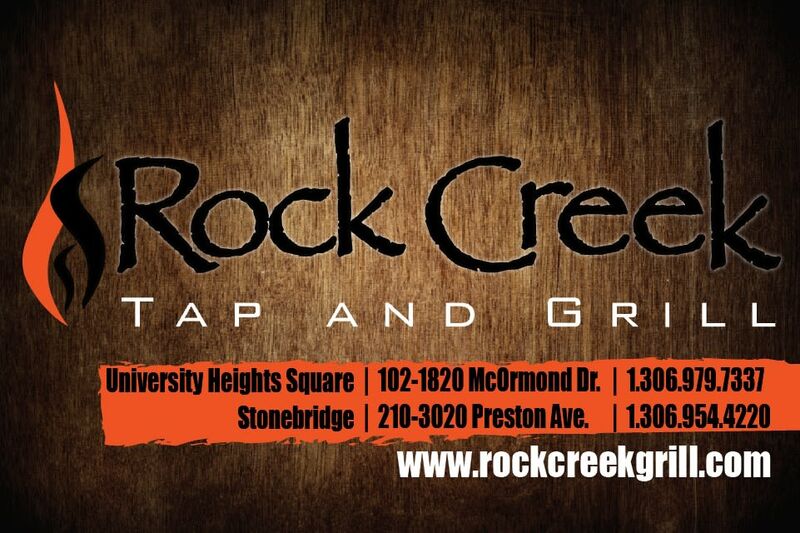 Rock Creek Tap and Grill - McOrmond Dr.
A proud Saskatchewan-made franchise, Rock Creek Tap & Grill is your kicked-up casual neighborhood restaurant and lounge experience only available on the Prairies. Rock Creek’s unique menu is sure to have something for everyone’s taste. The menu features many “made from scratch” recipes and distinctive flavor combinations, including our new wood (hickory and cherry) smoke that help bring to life Rock Creek’s tantalizing appetizers and delicious entrees. Enjoy your meal in the modern dining room. The chic decor sets the perfect ambiance for relaxing and socializing with friends and family, or that romantic evening just for two. Want to catch the game or unwind? Satisfy your thirst and hunger in the Rock Creek lounge. Always a well stocked full bar and fun vibe, the Rock Creek lounge is perfect for kicking back and catching up with great company. Open 11am daily and 10am Sunday for Brunch.